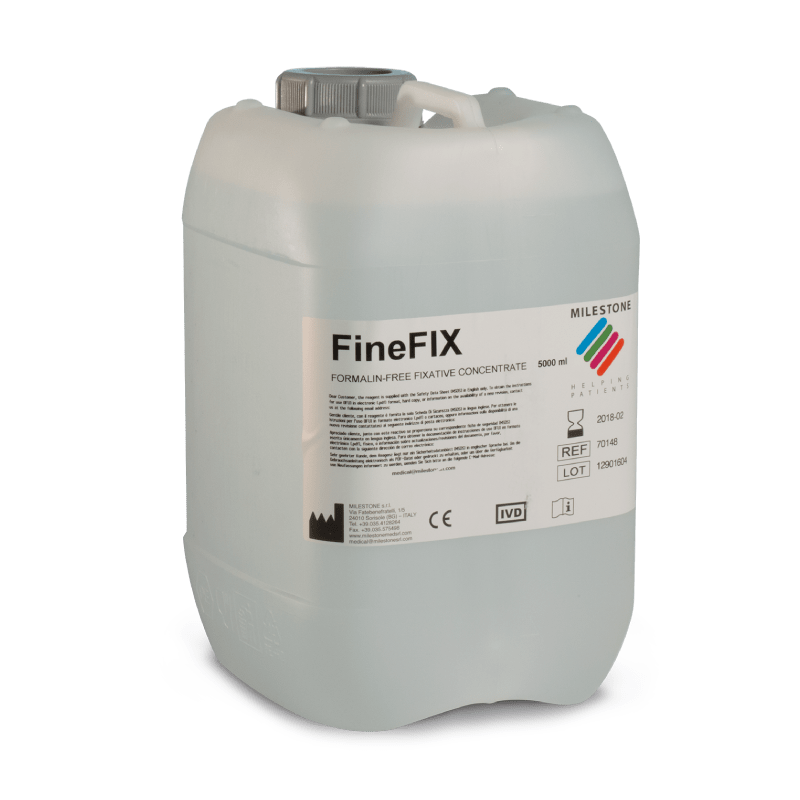 FineFIX is a patented formalin-free and water-based concentrate. When diluted with ethanol, its formulation of low toxicity additives overcomes the drawbacks commonly associated with the use of pure ethanol or ethanol based fixatives (e.g. significant tissue shrinkage, vacuolization and pyknotic nuclei). 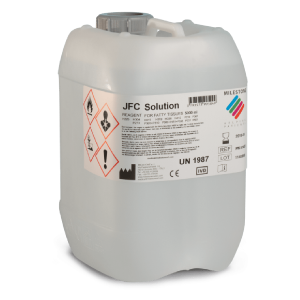 FineFIX also provides optimal preservation of tissue antigens, nuclear and cytoplasmic morphology and reduced lysis of red blood cells with preservation of the cytoplasmic membranes. Simultaneous specimen fixation, dehydration and fat extraction while immersed in FineFIX. Macro firming of specimens allows pathologists to easily palpate, dissect and cut thinner representative blocks. 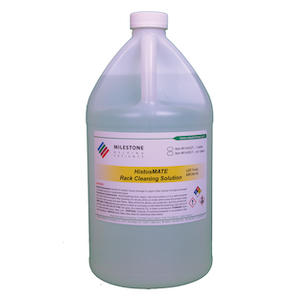 Elimination of the slimy feel and consistency of fatty specimens for a rapid, easy clean up. More “real-life” color compared to “grayish” appearance of formalin fixed specimens. Easy detection of lymph nodes: an easy gray-white contrast following FineFIX fixation.